It’s Time to Tee It Up! Is the snow finally gone? Wow, what a wet winter we just had. When we got the record snowfall in January, I asked myself “Do you think that we might see grass before June?” However, as we all know, we have green grass and trees blooming right now, which means one thing to me; let’s get out playing some golf! We in Missouri are very fortunate to have some wonderful golf courses to be able to get out and enjoy throughout this beautiful state. Courses are all over, from Northwest Missouri to the tip of the Bootheel, for all ages and all calibers of golfers. Everyone knows of the wonderful courses in the Lake Ozark area to enjoy and retreat to for a fun guys or girls weekend; go the Lake Golf Council website to plan your trip. If you want to go even farther south, look into the Branson Area Golf Council website to get everything you need for a trip to the Ozark Mountains. Everyone wants to go where multiple courses exist and there’s a wide range of variety. However, one thing golfers never think of, and are missing out on, is taking a little road trip through Missouri, playing some of the interesting and fun little nine-hole golf courses that some towns might have. Yes some are private and will not let outside play come in, but the majority will. To me, it is neat to pull into these little communities and see what kind of clubhouse they might have (or not have). Most of these clubs might not have true rental golf carts to rent, so you might have to use a member’s cart that is stored at the course that day. These courses don’t have the huge budgets to maintain the course like Augusta National, but I am the first one to say that golf course superintendents from small clubs do more with what they have and don’t have then many superintendents who have everything they need. 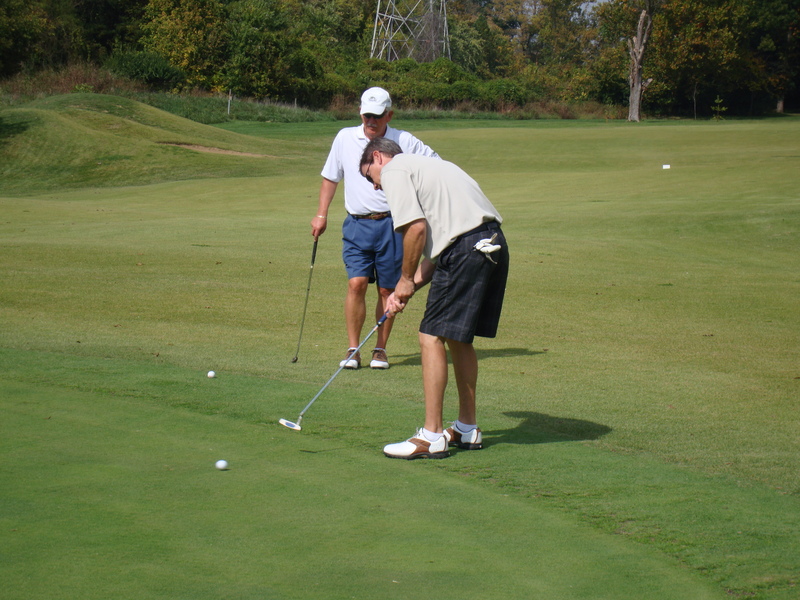 You'll find courses to suit every skill level around Missouri. On these courses, you might see some very interesting hole designs, just like you do on big courses. However, these clubs are very laid back and will bend over backward for an outsider to come in a enjoy the course. So, the next time you and some buddies are looking for a little getaway to have some fun playing golf and looking for a cheaper route that is more laid back, look into hitting up some of the great nine-hole courses we have in Missouri. If you need some help finding these courses feel free to contact the Missouri Golf Association and we will guide you in the right direction. Until I see you on the first tee. Written by Scott Hovis, aka MoGolfGuy, executive director of the Missouri Golf Association and vice-chairman of the Missouri Tourism Commission. ← I am a chocoholic.